So… what do we know about Andy Warhol? Album by The Velvet Underground And Nico. Or so I thought – it turns out the title was simply “The Velvet Underground and Nico”, and the “Andy Warhol” bit is just there as a credit for the illustration. The “peel here” banana thing actually was peel-able on the cover, you know. I quite like the Warhol ones they have in (the) Tate Modern, but the best one I saw was of Franz Beckenbauer, at a sport exhibition in Austria some time ago. Captured the great man’s icy dominance perfectly. Can of worms here, as the site’s flamboyant owner Chris Rand, no stranger to punctuational controversy, opens a very contentious pair of brackets. Should we not therefore have Anderson (Clive), assuming we can’t have (Clive) Anderson? When we get to ‘The Cuban’ will we get (Alberto Juantorena)(opens his legs and shows us his class)? etc etc. Hmm, right to point out an inconsistency, but wrong diagnosis, I fear, Charles. I was just trying to point out that there was a reference to “Andy” (but meaning “Andy Warhol”) and a separate one to “Andy Warhol” in full. Probably not the best way to do it. I’ll ditch the brackets. By the way, survived the Curse of HMHB for just 1 year and 138 days. Poor show. Yes – it’s just about the consistency & comprehensiveness I suppose – but as you’ve done Adrian, don’t you have to have a separate reference just for Andy? Was wondering by the way what your policy is on which non-proper nouns are included in the A-Z. ‘Androids’ for example are included, whereas say ‘alley gates’ aren’t. 1. Adrian vs. Andy: “Adrian” in Emerging From Gorse gets a separate reference because he’s almost certainly not the other “Adrian” to get a mention (Adrian Horn). 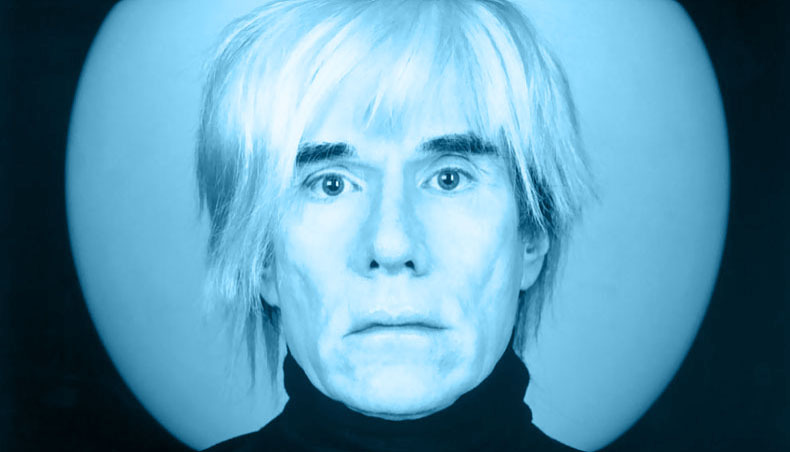 “Andy” in New York Skiffle, meanwhile, is almost certainly Andy Warhol, so doesn’t merit a separate entry. I’ll never get that right though. “Arthur” of “Farm” fame is coming up soon, and is he Arthur Askey? I’ve assumed so, and he doesn’t get a separate entry, but who knows? 2. Proper Nouns: Goodness knows. I probably just picked out ones I found interesting. Or noticed. If you stumble across a reference you think I missed, please email me. I’ve already found about 30, which is why from time to time you’ll get two entries in one day as I insert them into the pre-set schedule. Interesting, eh? Very much on tenterhooks here as to whether aphids are considered interesting enough to join ammonites and androids in the list of ordinary nouns considered a life less ordinary than others. Ed’s note: Naa. They’re specifically “aphids in Picardy” so I thought we could discuss them under “P”, just to irritate you Charles. Andy Warhols parents emigrated to The United States from a village in what is now Slovakia.Nearby is the small town of Medzilaborce where one can visit the Andy Warhol museum.This area is adjacent to the DUKLA pass,scene of horrific conflict during the second world war and from which Dukla Prague took their name.The siting of this museum can safely be described as incongruous. A thing that irritates about Warhol is that denied his background ,coming out with really cool statements such as I am from nowhere.Anyway it is a fascinating corner of Eastern Europe and entry to the museum was 3Euros in 2009. We should have The First International HMHB Lyrics Congress there. The Congress of Dukla, I mean (not Medzilaborce). Has a ring about it. It does depend on one or three more volunteers coming forward for the tribute band though.